The wharf extension and improvements will allow berthing for SSBN, and SSGN class submarines and support ships with deeper draft. 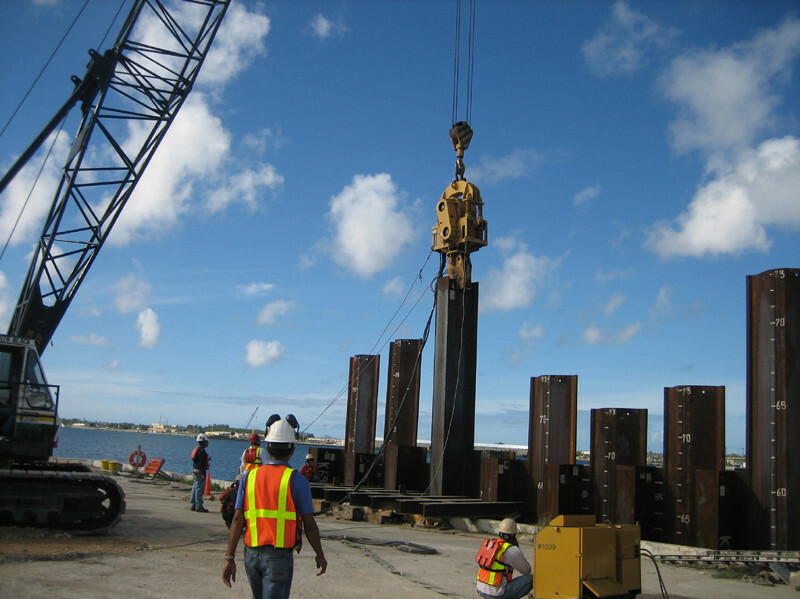 The design team revised the design of the wharf extension to a more cost effective sheet pile bulkhead wharf to resist the high seismic forces experienced on Guam and to accommodate the submarines. The project involved dredging of the channel entrance to inner Apra Harbor and along the wharves to provide adequate draft for submarines to berth for repairs and crew changes.